Early dawn the following day, Madder and I were about to set off when several of our friends came to see us off. 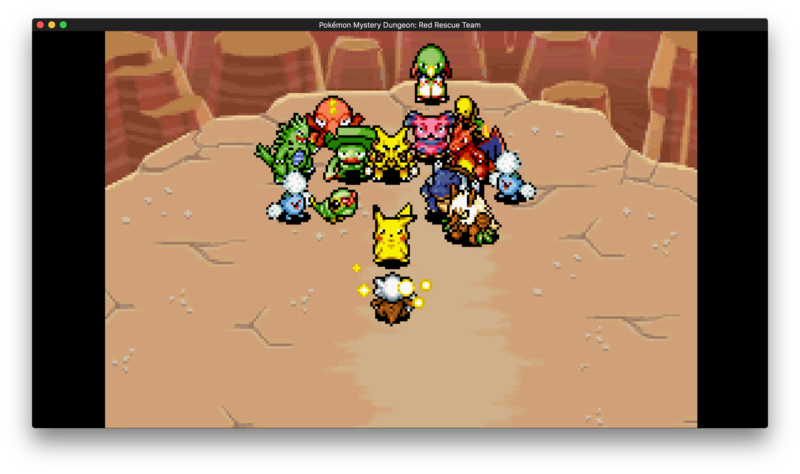 Diglett, Caterpie, Metapod, the Jumpluff, and even Pelipper came to say their goodbyes and wishes of sweet returns. It was a sweet sight for Madder and I, and we left with heavy hearts to hike across parts unknown to clear my name. We found that the disasters were worse the further we went. Fissures that ruptured the ground. And forest fires that burned for days on end. Just when we thought we had obtained some respite from our pursuers by nearing the entrance to Lapis Cave, we heard their voices and had to flee inside. The dungeon itself proved little trouble. Madder and I's gold rank was not earned for nothing after all. We were high levels and able to tackle it with ease. Though, the lack of teammates made us feel somewhat lonely. We had to wonder how the others were doing without us. Did they dare leave their homes? Had the police gone after them yet? We could only wonder and press further. We left the cave in record time and had hopes that possibly put some distance behind us, but no such luck. The other rescue teams were right on our tails. Madder as much as your sass is appreciated, now is not the best time. They were close behind. Which meant we had no choice. We had to climb the wretched Mt. Blaze. It's infamous for having wicked strong fire types, which I'm not worried about. But supposedly a beast guards the peak, which we must cross to escape our pursuers. We reached the base of the peak with ease. Being a ground type has proven to have its perks, that is for sure. 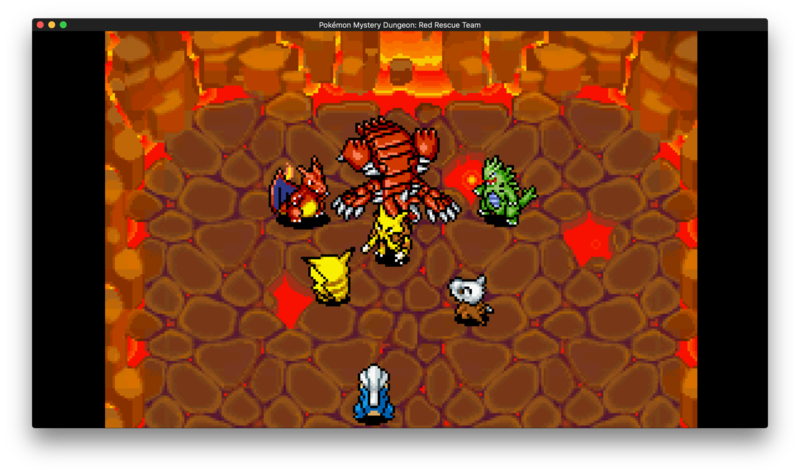 These fire types don't stand a chance against me. But we have yet to encounter the slumbering beast, and that unnerves me. That would be my guess. Which means the beast slumbers here. We tried to get across as quickly as we could but we got.... held up. Dangit! Moltres said en garde. The fencer in me cannot resist such a challenge! 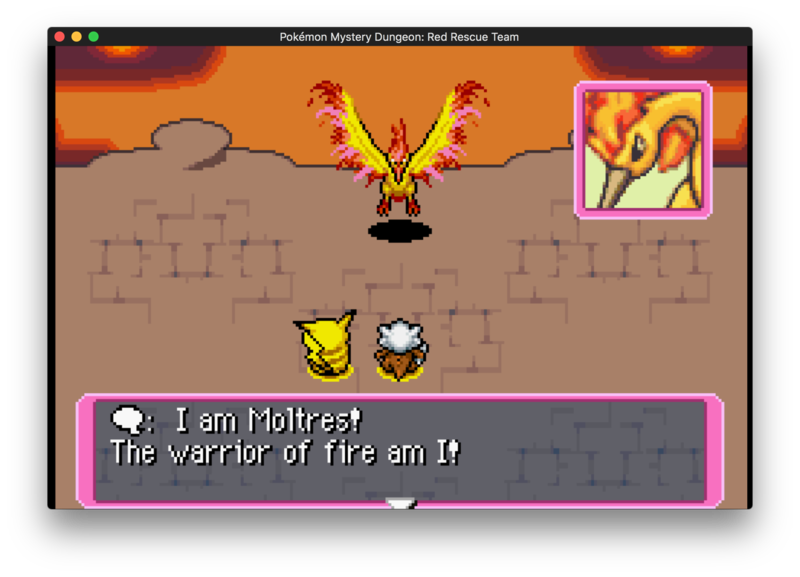 You will rue the day you challenge me, Moltres. 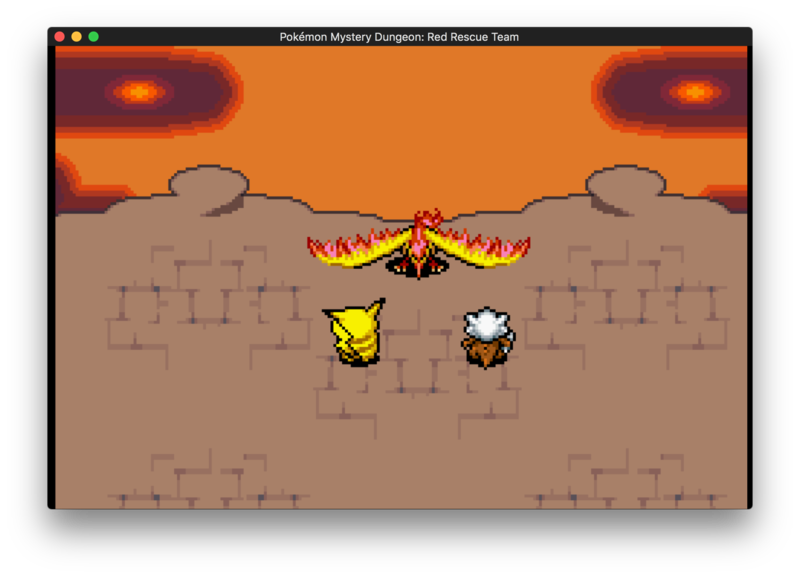 Moltres went down without much of a problem. Madder did most of the work but I helped some. Headbutt+1 has its uses. 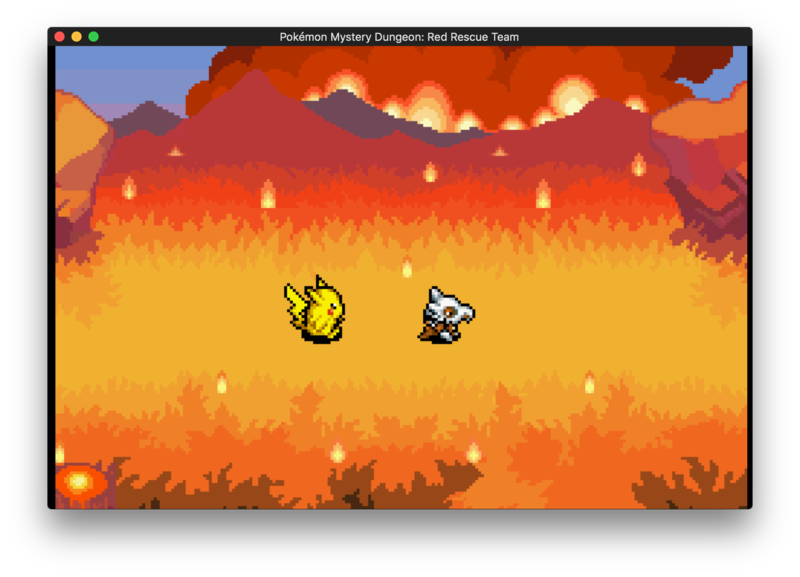 So Moltres let us pass, but only after we promised to put some research into why the natural disasters had yet to stop. We promised and reached the other side of Mt. Blaze. Once again our doubts clung to us. Could we really do this? Madder and I started to give up when we realized it wouldn't be fair to those at home who were supporting and rooting for us. We had to keep running until we found the truth or were caught. Whichever came first. So we went north, to a forest covered in snow. Cold always bothered me, its something I remember from being a human, but never so much before. Being a ground type, I am weak to the ice. Maybe we could go back to Mt. 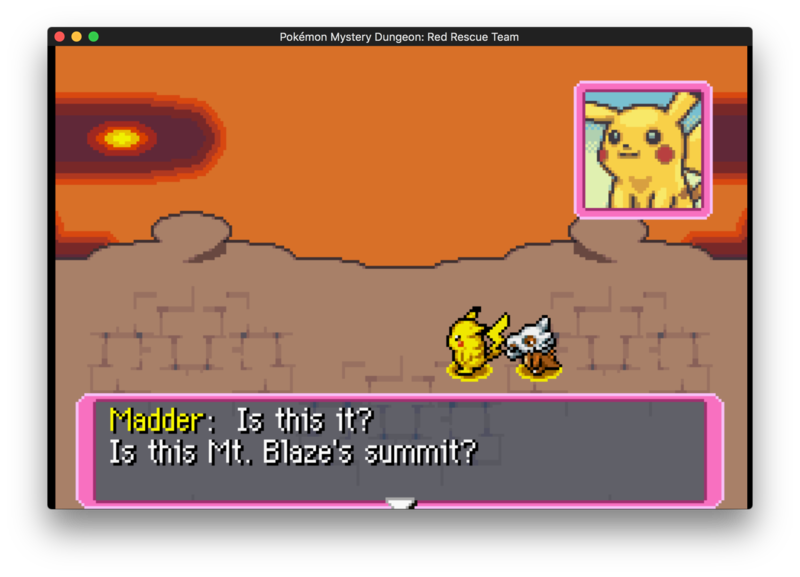 Blaze? Then again, the lack of opponents here has been nice. I speak too soon. Though, it appears he does not want to fight. An absol, I don't think I've ever seen one up close before. He fled before we could exchange words, but I could see it in his eyes, he knew I was different. Just like everyone else. So, with pursuers close behind (we assumed, we could no longer hear their voices like we once had), we entered Frosty Forest. 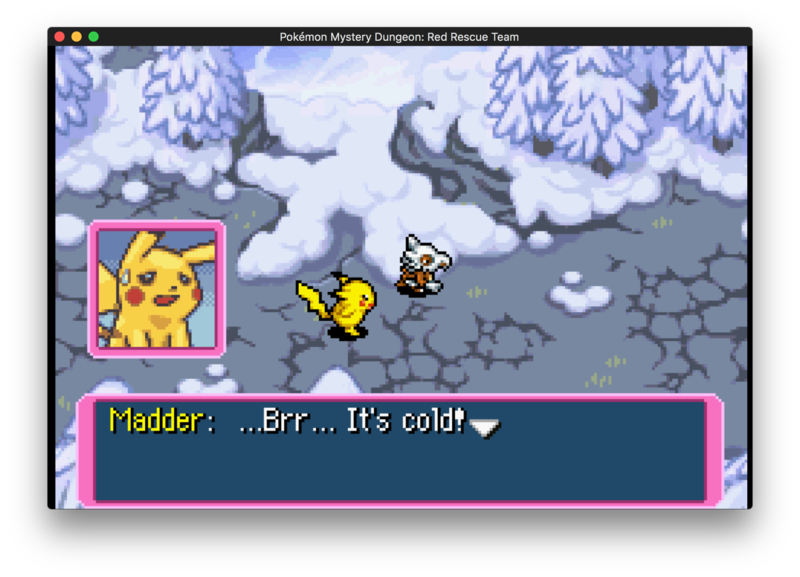 Chilled the bone, I was surprised by the lack of ice types, but you won't see me complaining. We made it through the forest quickly, but something felt off the further in we went. As we reached the end of the grotto, we were cut off by the guardian of the forest. 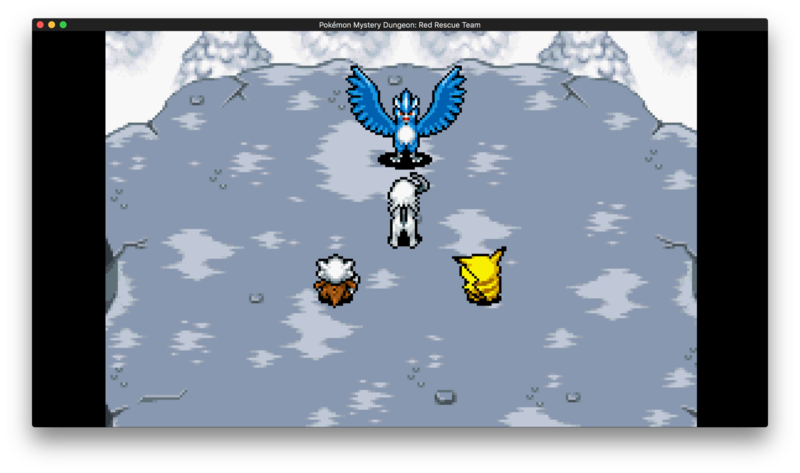 Apparently feeling left out, Articuno decided it needed to blame us for the natural disasters and then fight us too. Because it's not a party without the whole bird trio. 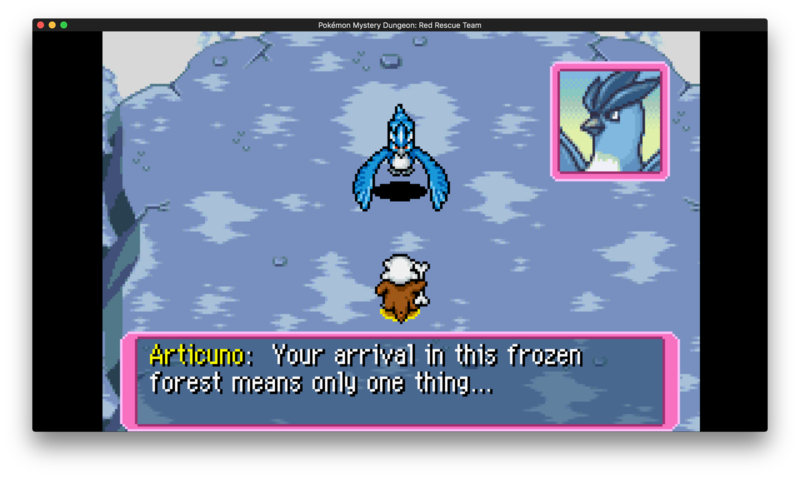 I was extremely worried about this fight, but it turned out to be for nothing since we defeated Articuno before it could use any ice type moves. 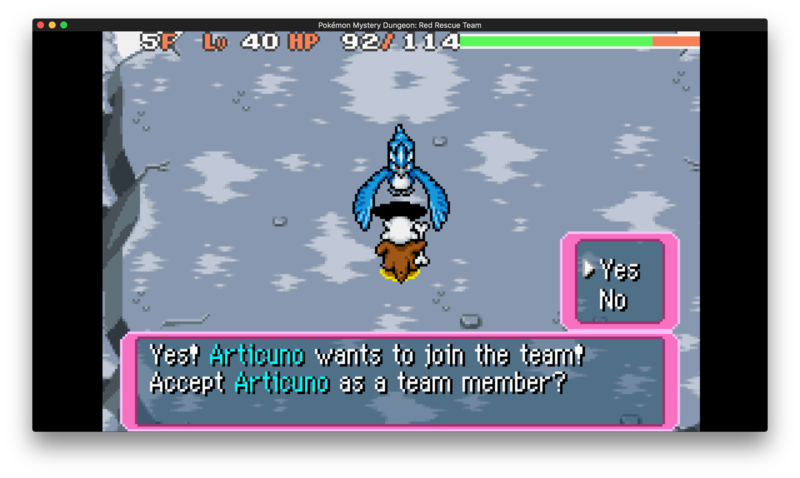 Articuno still refused to let us pass, despite all our pleas. 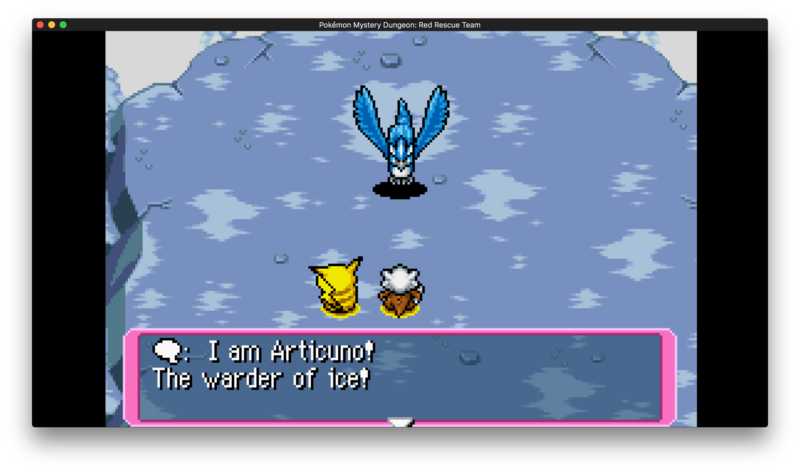 Articuno was determined to destroy us, and of all the birds it was really the only one I had an inkling that could succeed in decimating me if it wanted to. 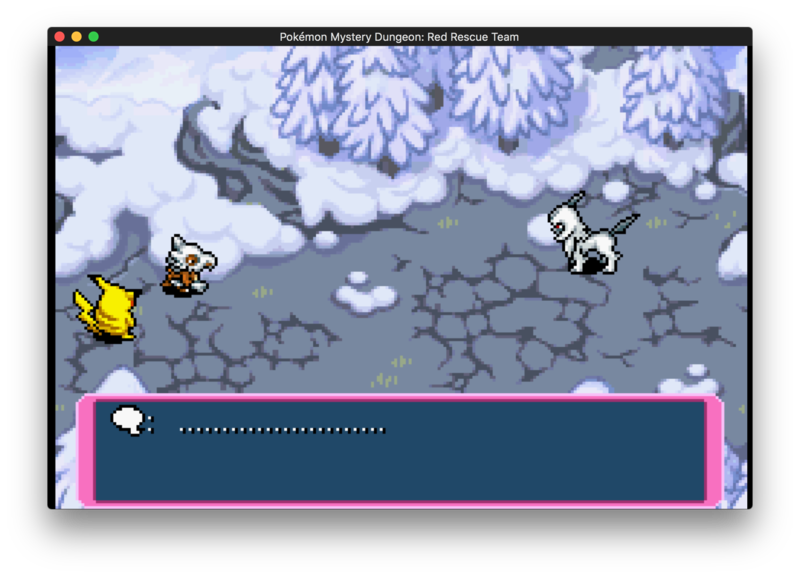 But before Articuno could attack us again, the Absol from before intervened. 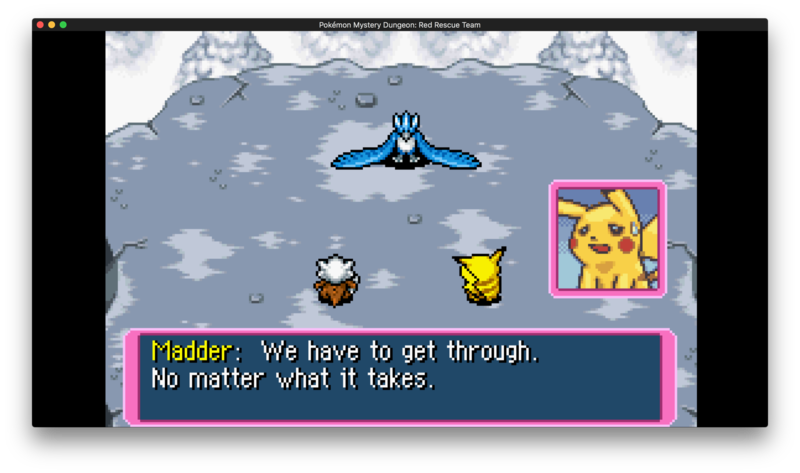 Articuno, trusting the words of this absol more than Madder and I's, decided to leave us be and allow us to pass. The Absol introduced himself as Bai Ze, and decided he should join our rescue team, as he understood what it was like to be blamed for disasters that were not of your own doing. Bai Ze also had an idea as to who we might need to talk to about this. So he led us further North, towards the mountain ranges. The blizzards grew more intense, I was feeling faint, and even though Bai Ze insisted we were nearing our destination, I could barely see a few inches in front of me. I was ready to give up when all of a sudden an image of Gardevoir appeared before me. While neither Madder nor Bai Ze could see her, Gardevoir insisted that not only could Bai Ze be trusted, but our destination, Mt. Freeze, was the place I needed to go. That was the home of Ninetales, and she could clear my name. Feeling more motivated than ever, the three of us scaled Mt. Freeze filled with determination. We reached the peak in no time at all with little opposition (though Bai Ze almost died once). But Ninetales was nowhere to be seen. We were about to search for her when Team ACT cornered us. They were determined to fight. And even though both of our teams were gold rank, I had a funny feeling a tyranitar could easily crush our vastly lower level team. Still, we were determined not to give up. We had gotten this far! We wouldn't stop now! Not when we were so close to finding the answer! 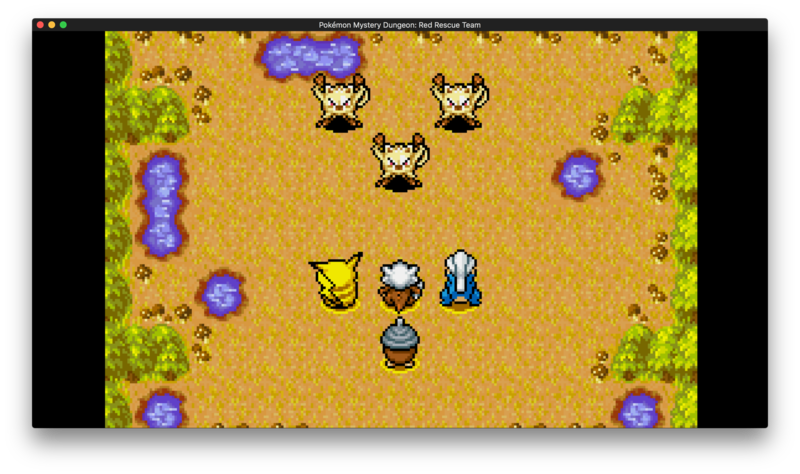 But just as Alakazam and I were about to duke it out, Ninetales appeared, ordering us to cease fighting. Finally, we were able to ask the questions we had been waiting for. Was the legend true? Was I that heartless human? Was I the cause of the disasters? I could feel my heart pounding as Ninetales recounted the legend that Whiscash told me what feels like years ago. Already I was feeling dread as we found out the legends were indeed true. 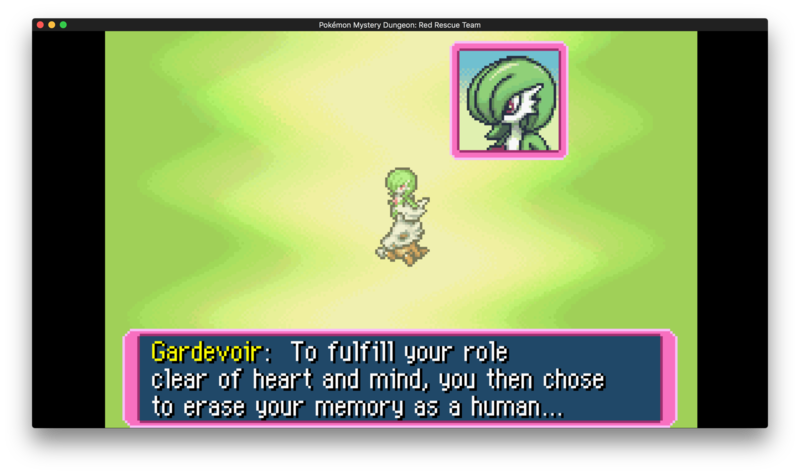 A human had once abandoned Gardevoir to take the curse, and that person had become a pokémon. In fact, they were currently living on right now. But then, a weight was lifted on my shoulders, as Ninetales said not once, but twice that I was not the human in that legend! Madder was ecstatic. All three of us let out a huge sigh of relief and even Team ACT seemed relieved in some way. They gave us their apologies, saying that they shouldn't have trusted Gengar over us. But then, what about the disasters? Was there another human causing them? Did we have to hunt them down instead? Even if they were a terrible person, if they had amnesia like me, maybe they had changed? Maybe they weren't as bad as everyone assumed? I felt somewhat relieved at that answer. Whomever this human was, they were safe for now. No one had to hunt them down, for the natural disasters and the appearance of humans, while connected, were not the causes of each other. Both myself and the other human were safe for now. But then, Madder brought up a good point. Why was I no longer a human? If there was no curse on me, then what had caused me to become this way? Ninetales looked ready to answer, but before she could, the ground began to heave and shake as the worse earthquake I had experienced in a long time rattled Mt. Freeze. I couldn't help but think of Skarmory and Mt. Steel, about the earthquake back then. 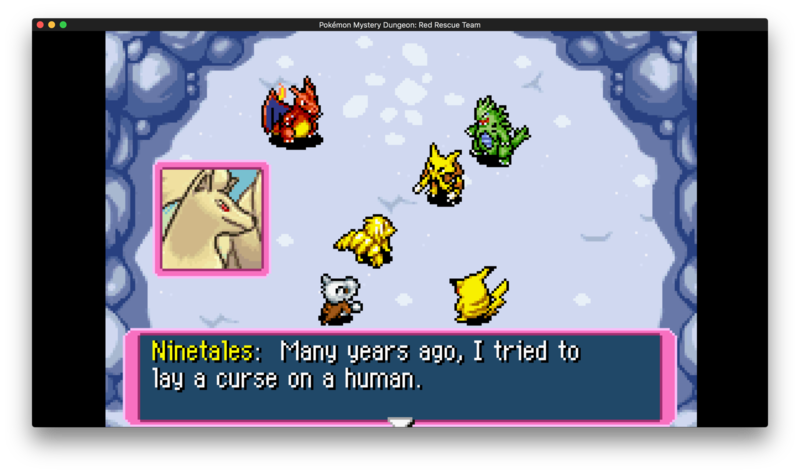 But Ninetales informed us that we had worse problems. 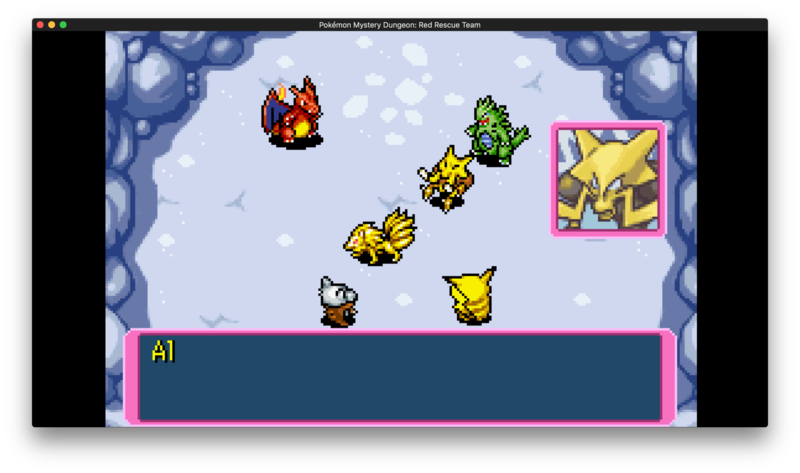 No, if these kept up, we wouldn't be dealing with Skarmory, we'd be dealing with much worse, Groudon. Team ACT insisted we let them handle it, obviously completely unaware we defeated two legendaries during our journey as fugitives. But Madder seemed tired and I was ready to go home, so we agreed. So we returned, Bai Ze coming with us. We declared my innocence to Gengar, but he refused to believe us without any proof and tried to turn those remaining behind against us. 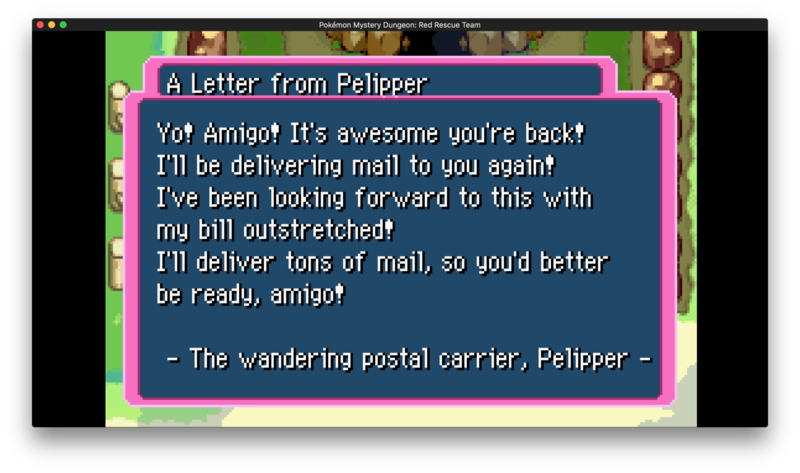 But they refused, and right as Gengar looked about to attack us himself, Pelipper came to our rescue. Lombre read the newspaper allowed that not only declared my innocence but also had Team ACT testifying to the whole thing. 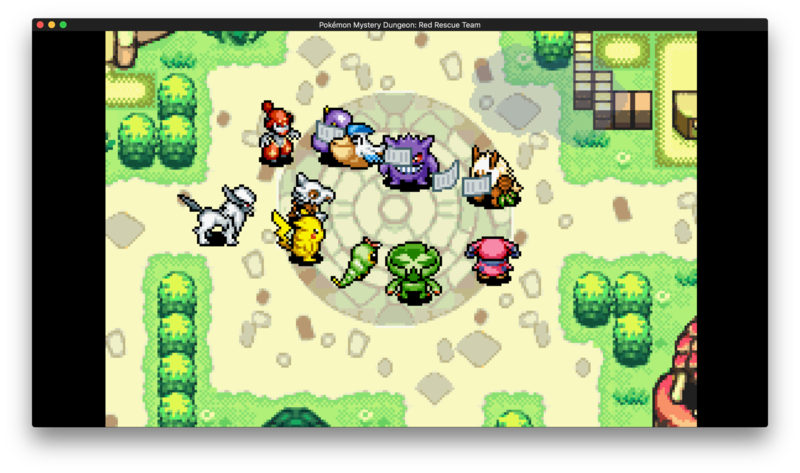 That sure put Gengar in a tough spot, he and Team Meanies fleeing following the whole incident. And so Madder and I were able to return home and have a good rest. 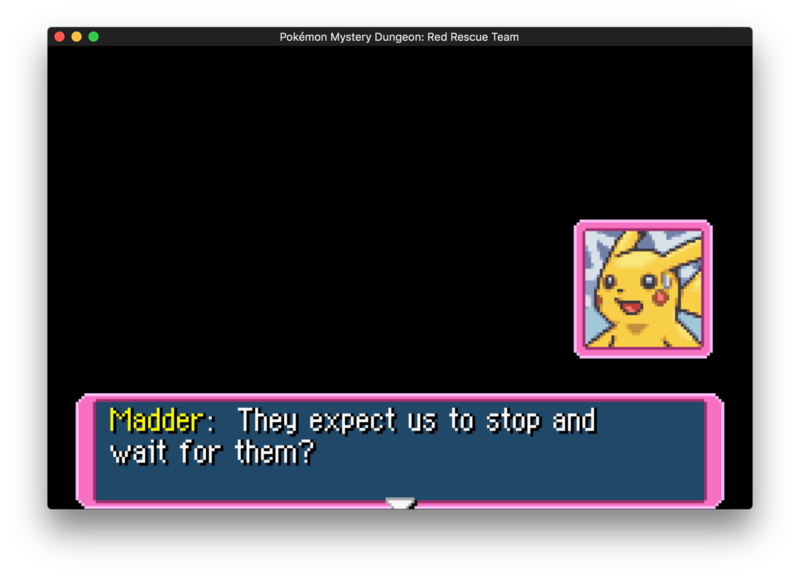 I was ready to get back to normal rescue work, and I knew Madder was too. 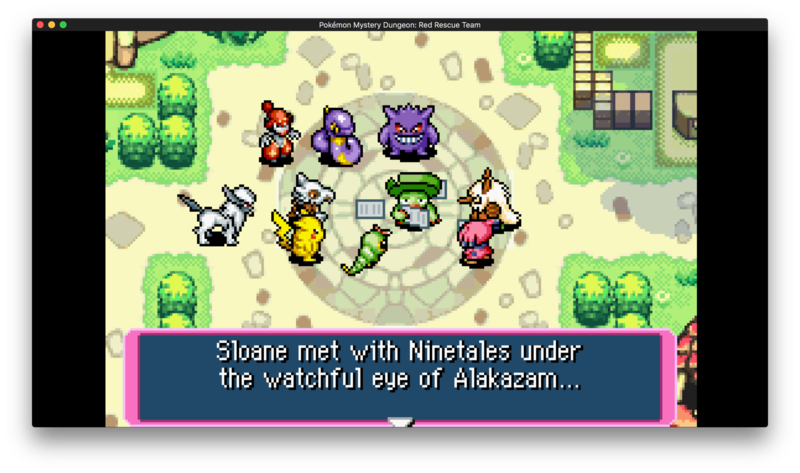 Our teammates were all pleased to see us as well, and Carwennan was especially starstruck at the sight of an Absol. The next morning, Pelipper left us a great note to help us get the day started right, so with our motivation restored, and the truth behind us, Madder and I were ready to start back operations, not as fugitives, but as Team Moonlight. Team Moonlight has lost fugitive status! All previous status afflictions have been removed! Last edited by Noblejanobii; 06-11-2017 at 08:12 PM. So Madder and I have gotten back to rescue work. We went back to Mt. Blaze, Lapis Cave, Frosty Forest, and Mt. Freeze to see if we could get recruits, which we did for everywhere except Mt. Blaze. After realizing our only recruitable pokémon there was actually shuckle we agreed we'd probably wait until the postgame for a recruit from there. Still it's been a while since we heard from Team ACT and a town meeting was called with concern. 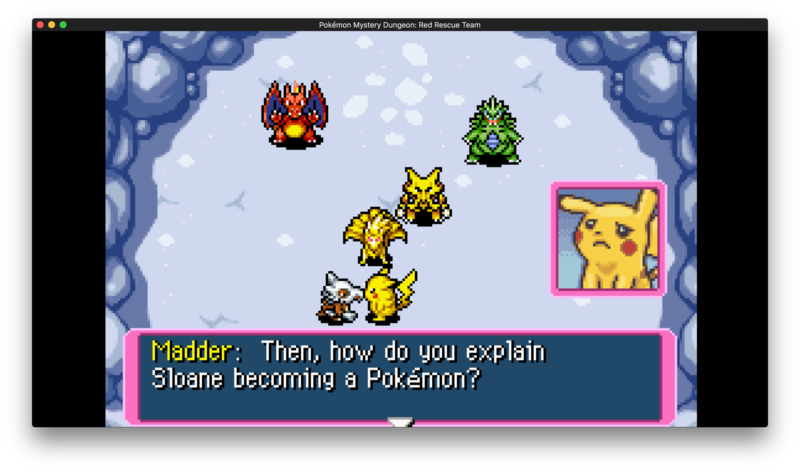 Even though Madder and I were ready to head out, the townsmon agreed that rescue team leaders Blastoise, Octillery, and Golem should go over them. As much as Madder and I wanted to go with them, Madder being at such a disadvantage, it's probably for the best. 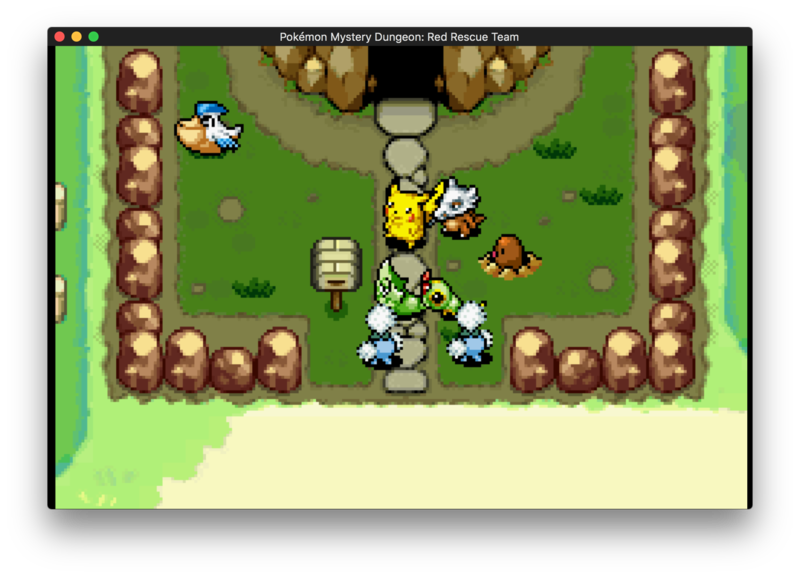 So instead, we picked up a mission from the Pelipper Post Office to help quell some rogue Mankey in Uproar Forest. Along the way we recruited a new friend, a seedot! 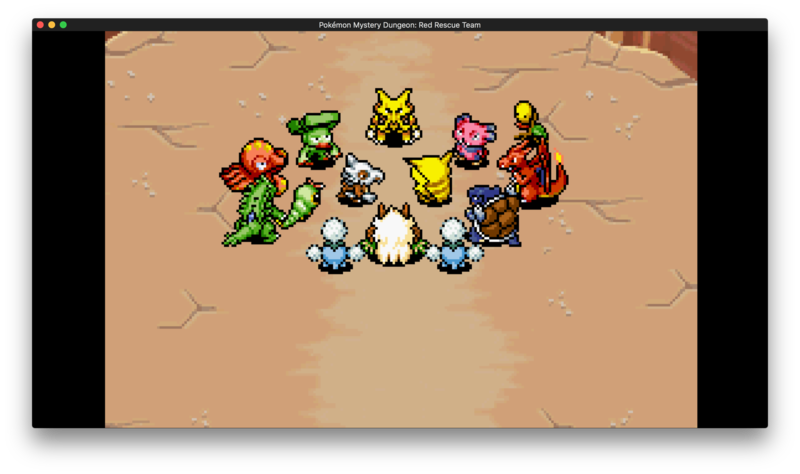 And with his help we were able to calm down the Mankey Gang for the Wynaut and Wobbffet clients. Sadly, they didn't have much to offer us for a reward beyond a peeled chestnut. I didn't mind but Madder seemed to want a little cash. 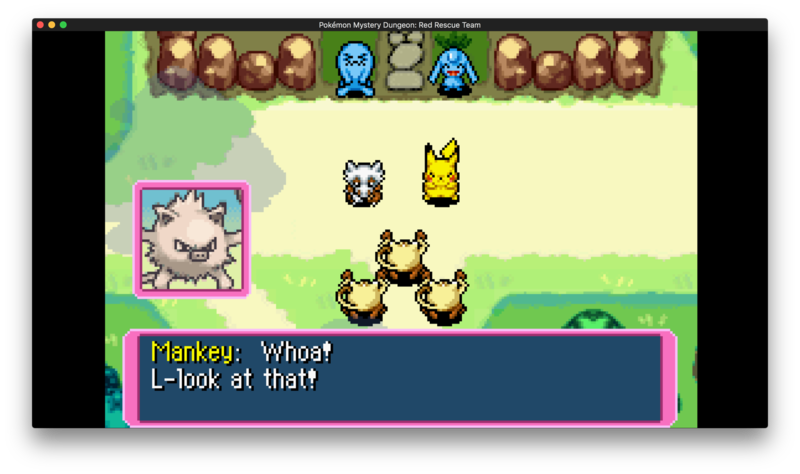 But just as we were about to celebrate, the Mankey Gang shows up! They were about to pummel us when they spotted the peeled chesnut! After some discussion they agreed to help us renovate the base in exchange for the chesnut. So we got about halfway done but then we encountered another problem! The mankey didn't want to work anymore! They demanded more chestnuts, so we obliged and after a few more chestnut runs, we had our results. And so with our new base in tact, we're ready to get back to rescue work once again! A few days later we received terrible news. Not only had Team ACT still not returned, but Blastoise, Octillery, and Golem hadn't even made it to them! The other rescuers began to flake out, not able to handle the terrible news, but Madder stood strong. Together we volunteered to venture into the dungeon. Along with Ascalon, we dove into the depths of Magma Cavern. At first I found it not much more a difficult task than Mt. Blaze. These ground and rock types stood no chance against me! That is... until we dove into the lion's den. I was startled when suddenly a bunch of enemies pounced upon us! It was a Monster House! 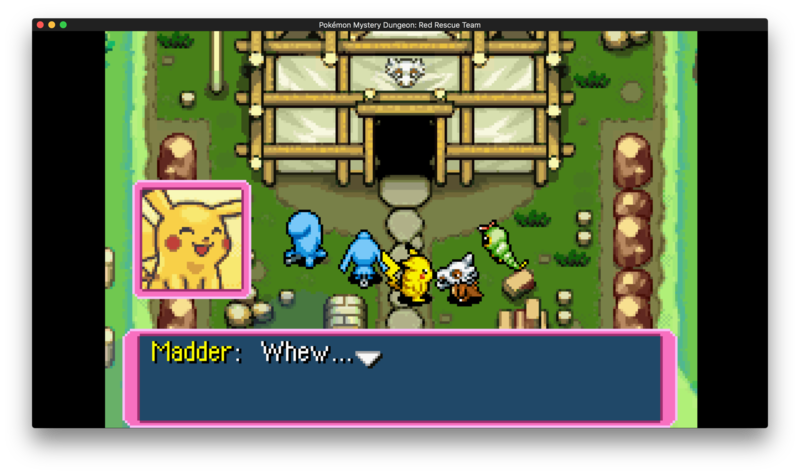 Thankfully my bonemerang was able to take out most of the enemies because Madder couldn't do much of anything with so many rhydon around. Their lightning rod abilities nullified his long range attacks. 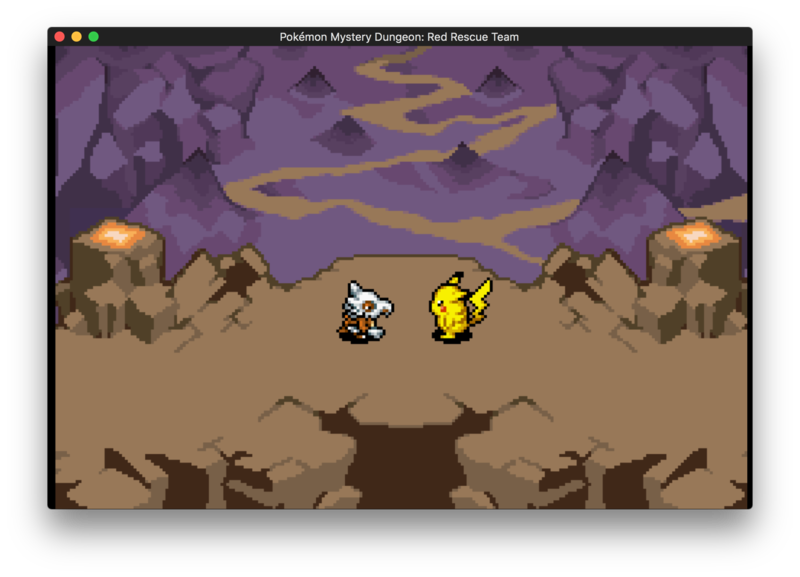 Still, we made it, and even though we didn't get a recruit by the time we reached the depths, we had every intention of coming back for an onix, if we could. As we entered the depths, we were surprised to find little opposition. As we reached an opening in the caverns, we found Charizard and Tyranitar lying on the ground, barely conscious. 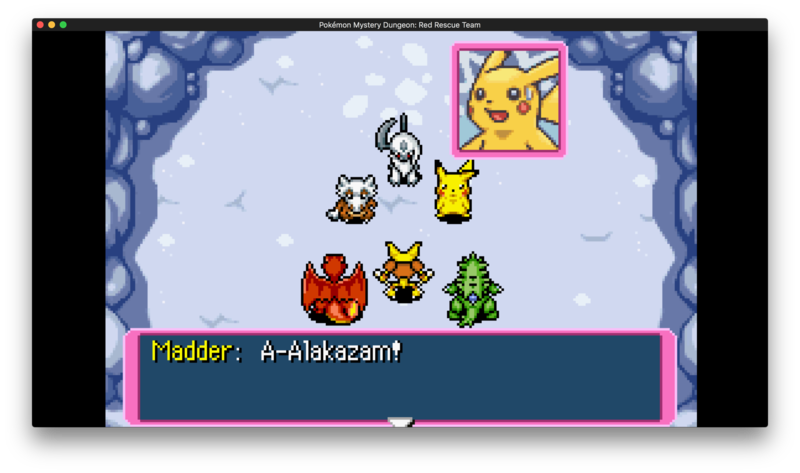 We rushed to their side and they told us that Groudon had wiped them out, but Alakazam was still fighting. We knew what we had to do. 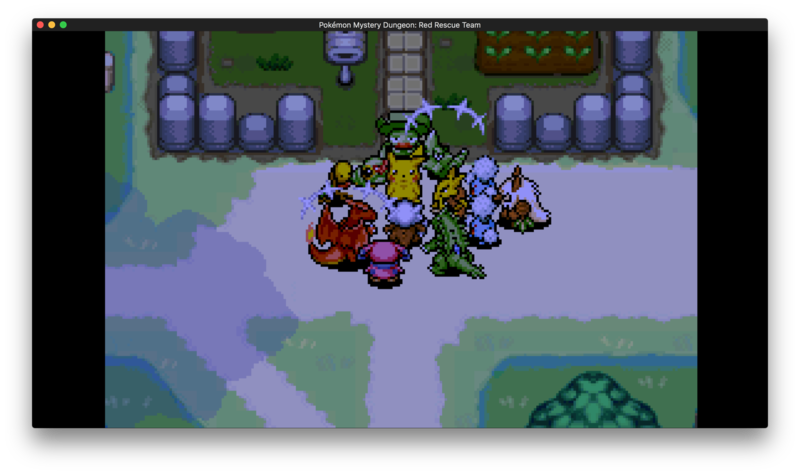 Leaving behind a few oran berries, we rushed to Alakazam's aid, only to watch Groudon nearly kill the mon as we arrived. The legendary, still enraged, engaged us immediately. Ascalon immediately engaged with a dragon breath, covering Madder so he wouldn't get hit by Groudon's strong ground attacks. While the legendary was distracted, I charged up my newest move, ice beam. Firing the chilling beam, a struck Groundon dead on the side of its face. The legendary beast didn't like that at all. Turning to me, it started to prepare another attack, but I was ready, already firing another ice beam while Ascalon and Madder ganged up from behind. A swift double brick break combo plus my ice beam was all that was needed to finish Groudon off. I was a bit surprised at our strength. Groundon was supposed to be much tougher than the legendary birds after all. Still, I had zero doubts that if we were facing it without Team ACT weakening the legendary first, we would have never succeeded. 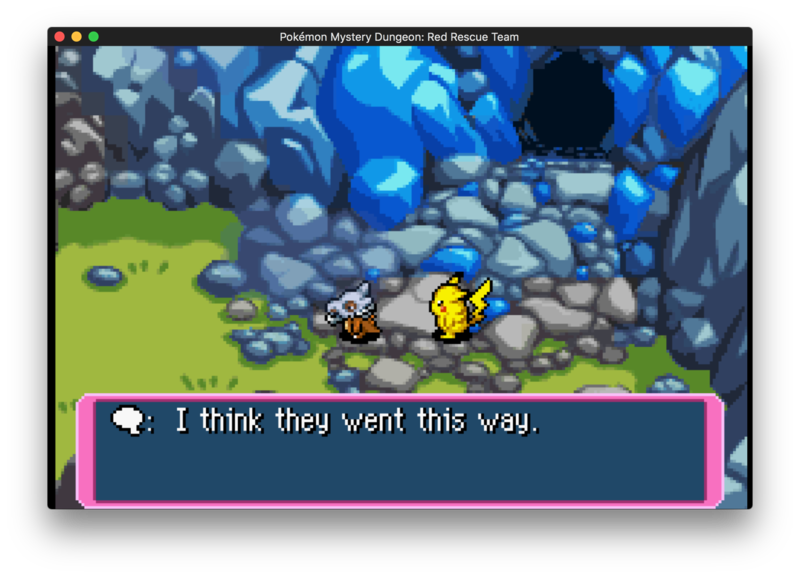 So, with Team ACT is tow, we left the caverns and returned to Pokémon Square. When we returned we were hailed as heroes, our now Platinum Rank team well known by the townsfolk and rescuers from across the land. However, Madder, Ascalon, and I were only able to revel in our celebrations for mere minutes when a familiar voice called out to us via telepathy. 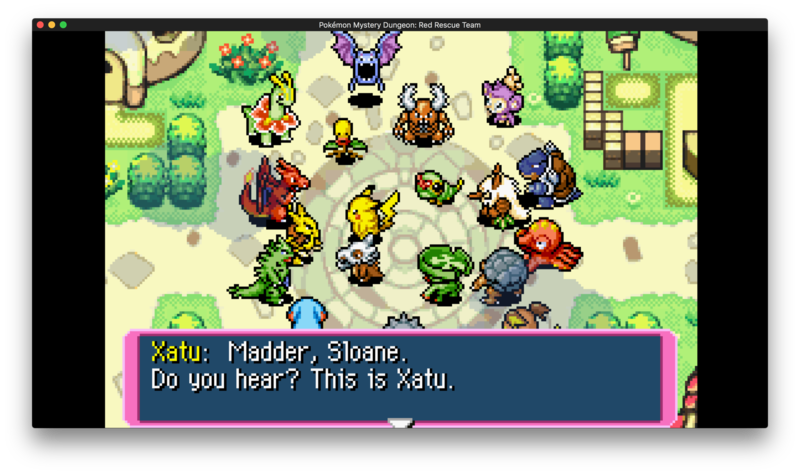 It was Xatu! He sounded panicked, which was concerning. His words were swift and jumbled, but coupled with the visions he was sending us, the meaning was clear. The role that gardevoir had conveyed to me in dreams up until this point, this was it. A star was falling from the sky and if it hit this world, that would be the end of civilization and life as we knew it. 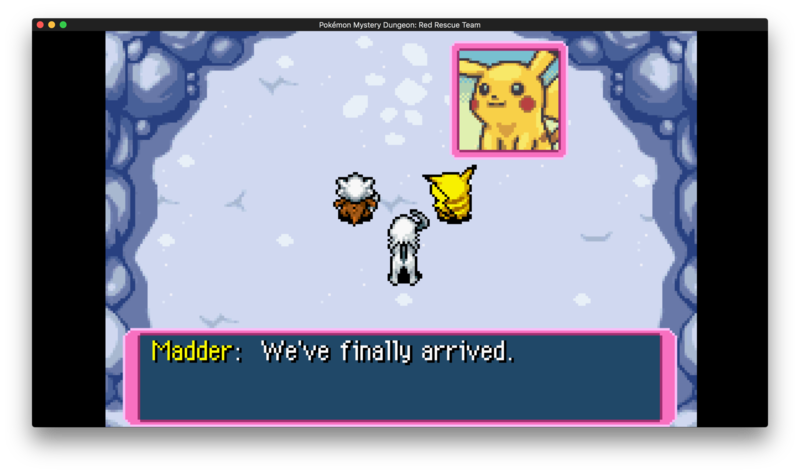 I knew with all certainty that this is why I was brought to the Pokémon World, and Madder seemed to know too that this was our destiny, no matter what the cost. So we agreed to go to Sky Tower, where the legendary known as Rayquaza resided. There we would scale the tower of clouds and convince Rayquaza to blow up the star. As if to confirm my thoughts, when Gardevoir visited that night, she explained everything. The spirits had discovered the star and knew of its deathly affects, so they set out to find a hero to save them. But no such hero existed in the Pokémon World, so they looked beyond, and found me. When they contacted me, according to Gardevoir, I denied being the hero they were searching for. So, to convince me that I was indeed the hero they were looking for, we agreed to put me to the test. I agreed to have my memory wiped and be sent to their world as a pokémon. If I could prove myself worthy of being the hero the world deserved, then my memories would be returned and I would save the world. However, this also came at a cost. A human, even in pokémon form, cannot remain this world without a role to fill. The role I was currently filling, it was coming to an end. I would be forced back to the human world follow the destruction of the star. Still, with the world on the line, I wasn't about to let that stop me. 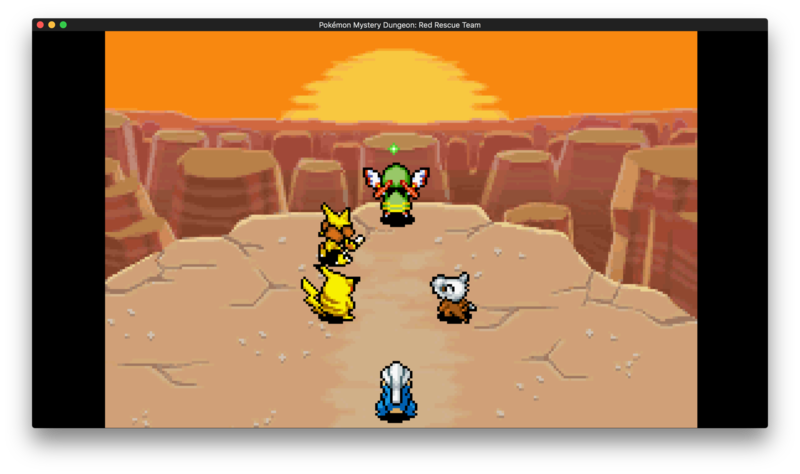 The next day, Madder, Ascalon, and I traveled to the Hill of Ancients, where Xatu and Alakazam awaited us with the Teleport Gem. This would get us to Sky Tower. Despite my preemptive heartbreak, I went forward with my teammates and traveled up into the tower of clouds, where our destiny awaited us. It was a magical feeling, walking on clouds. But it was short lived. 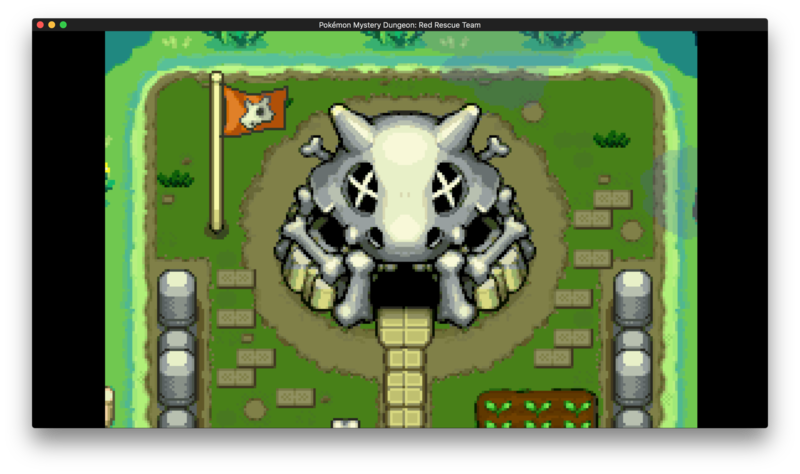 I quickly discovered that being a cubone would not aid me here, and I had to rely on my teammates more than ever. 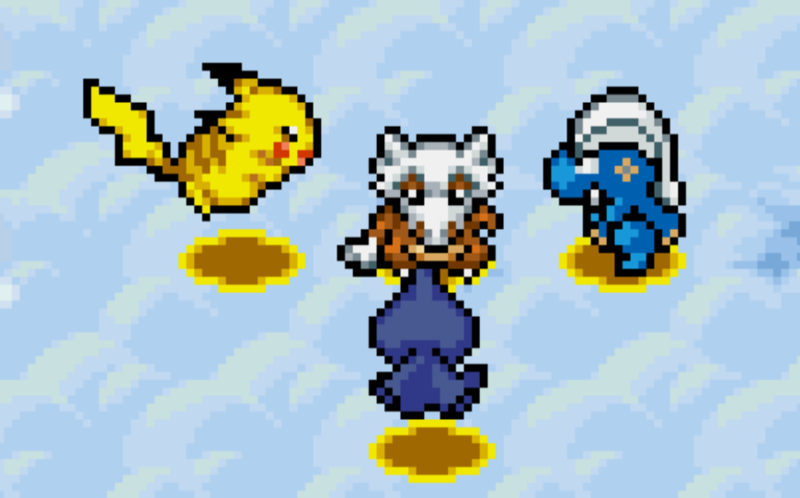 Sky Tower was filled with flying and ghost pokémon, most with the ability levitate. The only attack that I had that could hit them, ice beam, only had 8 PP. 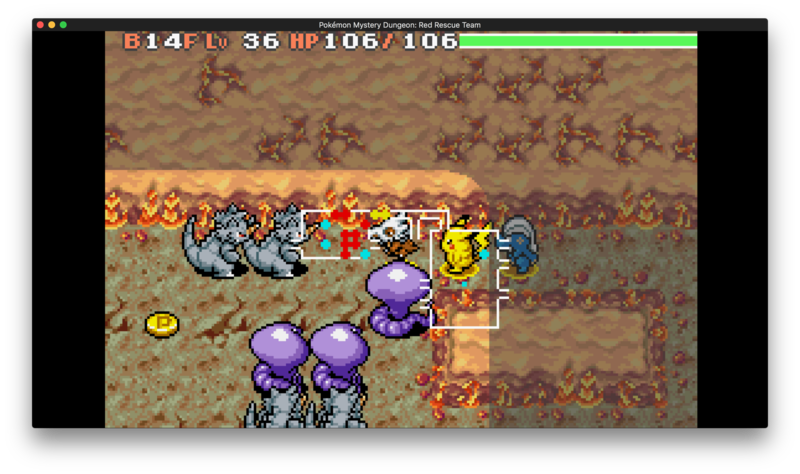 I did my best, especially with the scizor and venemoth in later floors, but it was difficult to trek through it all. Along the way, we made a friend. Tizona the shuppet agreed to help guide us through the clouds, knowing a few short cuts that aided in our quick ascension of Sky Tower. Even as the air grew thinner and it became more difficult to breathe, somehow we were able to keep going. We had to reach the top. The whole world was counting on us! 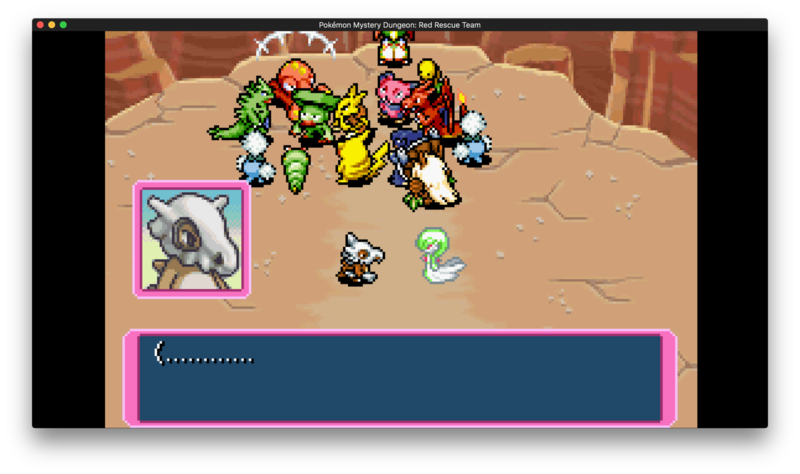 When we reached the top, Tizona tried to vouch for us to Rayquaza, but the dragon was angered! He saw us as creatures of the ground, and that we were trespassing on his domain. Faced with little other option, we fought for our lives against Rayquaza. It was by far the toughest battle yet, but with a dragon breath ice beam combo and Madder's high impact slams, we were able to deal some heavy damage to the dragon. 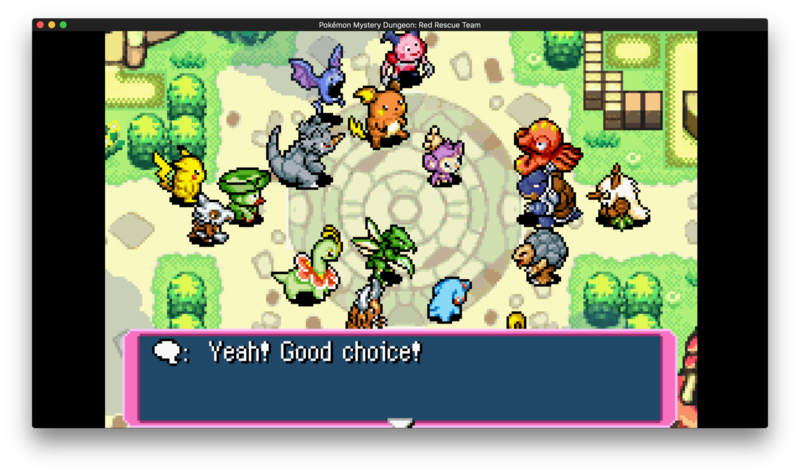 Still, Rayquaza refused to go down easily, as is true with all great legends. 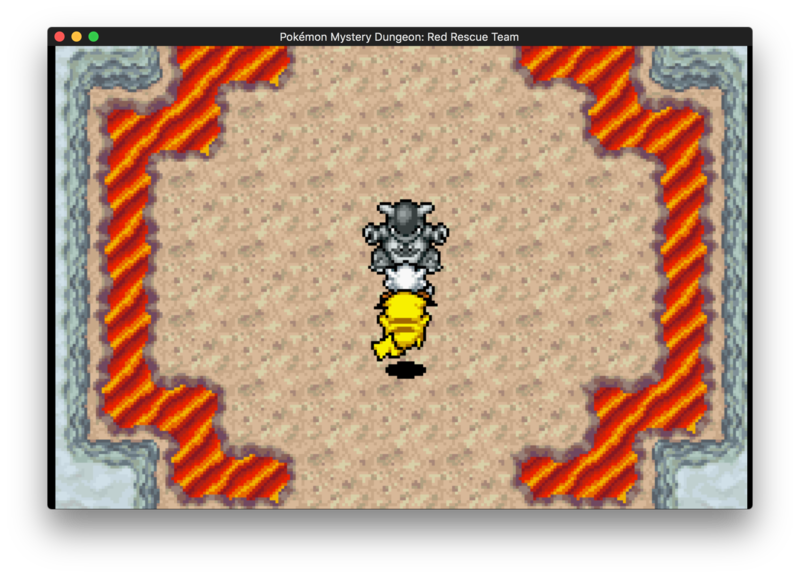 In a last ditch effort to deter us, Rayquaza unleashed a strong dragon dance dragon claw combo on Madder. Madder barely survived, and Tizona did her best to shield him from further attacks. But he was bleeding out, and fast. We had to hurry. Ascalon and I combined our forces and put all our strength into one final combo attack. 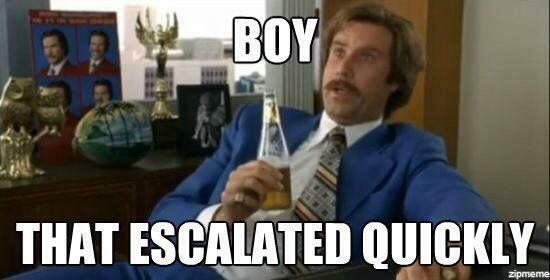 And that did it. Barely able to stand, I still felt elation coursing through me. We had defeated another legendary all on our own! One rumored to be many times stronger than the legendary birds. But then, the clouds began to shake, sending all of us to all fours. Why was there an earthquake all the way up here? And then we realized, this was no earthquake. "Lord Rayquaza!" Tizona shouted, "Look up!" With what little strength all five of us had left, we stared into the sky as the shooting star bore closer. The shockwaves were ripping the tower of clouds apart. At this rate, we were doomed either way! Rayquaza, seeing the understanding in our eyes, charged up a hyper beam, mustering all its remaining strength, and fired at the star. There was an explosion and then silence. I'm pretty sure in that moment, I died. I remember the spirit world, but before I could be pulled away, I felt someone grabbing and dragging me to safety, back to life. Who they were, I am unsure. But by the time I awoke I was sure of it, I was alive, and so was Madder. 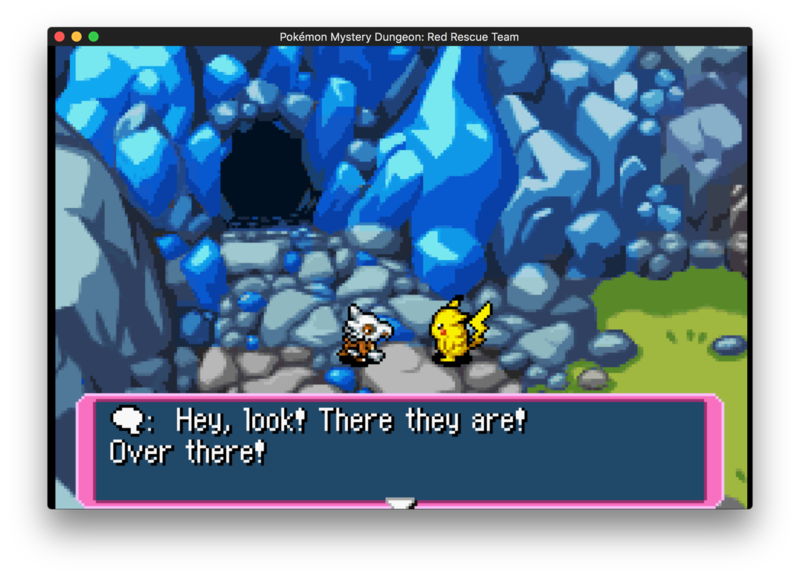 And even though we couldn't see them nearby, Xatu assured us that Tizona and Ascalon were unharmed as well. But it was official, we had saved the world! Still, my heart was heavy, and while everyone began to celebrate, a familiar voice whispered in my ear. "It is time," she said. I saw Gardevoir and nodded, my skull rattling a little as a choked back a sob. I had to be strong, for Madder's sake. He wasn't going to take this well at all. Should I have told him ahead of time? No, he would have been demotivated. 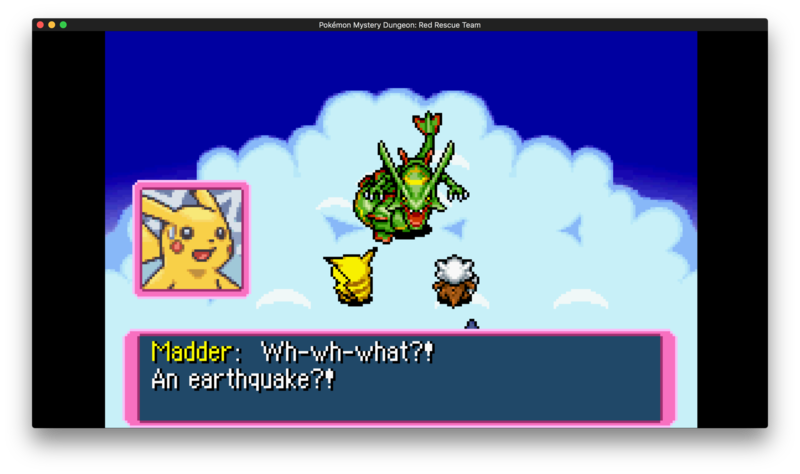 He might not have survived Rayquaza's attack. I could see the scars on his stomach where the dragon claw had hit, despite the wounds having been life threatening not too long ago. 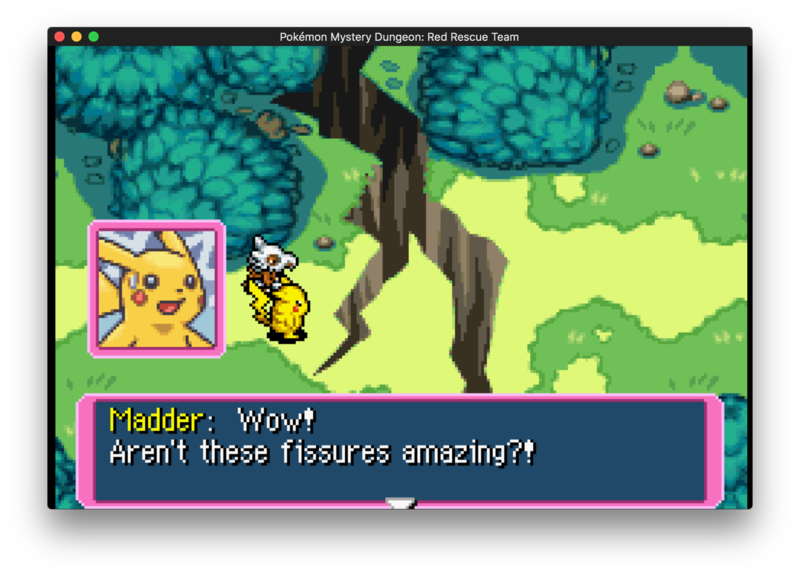 Maybe Alakazam had healed them? I wasn't sure. Nor did it really matter, I realized, as a small light began to leave my body. Caterpie was the first to notice and call out, and as everyone gathered round, more lights began to emanate from my body as I slowly started to fade. I began to explain everything that Gardevoir had told me. Now that I had my memories, I was able to explain in much more detail how I had met Gardevoir long ago, in the human world. She had reached out to me to be the hero for their world, and that without a role to fill, I could not exist in the Pokémon World. So I had to leave. Madder tried to grab hold of me, but I dispersed into lights as he grabbed my hands. I watched as he collapsed, his eyes following me high into the sky. And then came a voice. "Do you wish to have a new role to fill?" When I returned, seeing everyone's happy expression made my heart leap for joy. "I thought you couldn't exist here without a role," Caterpie said. I smiled at all of those around me and nodded. "I was given a new role, to be the leader of Team Moonlight and be Madder's best friend." Haha yeah I had a lot of free time yesterday. 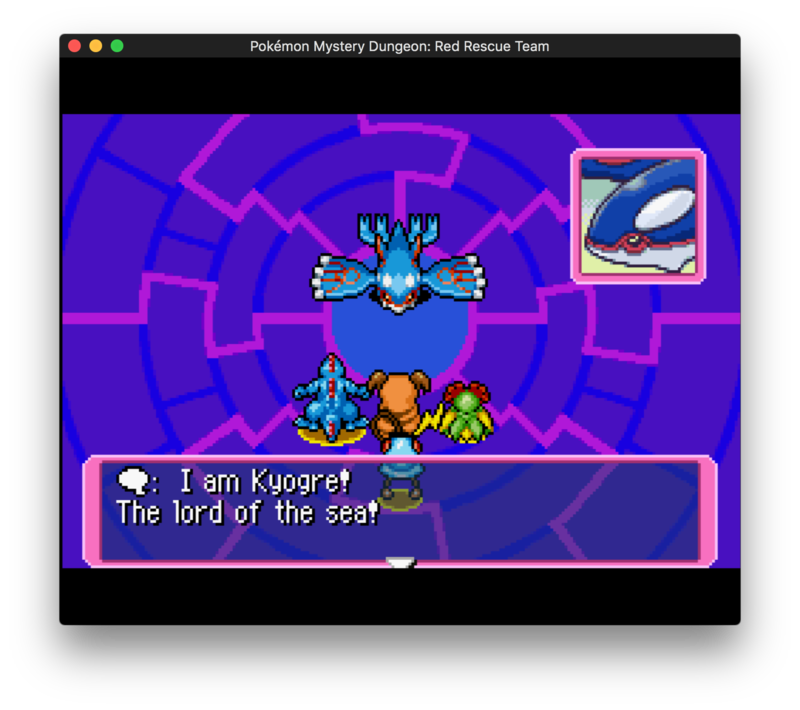 I might try to go after Kyogre. Problem is I have no pokémon that can learn dive. 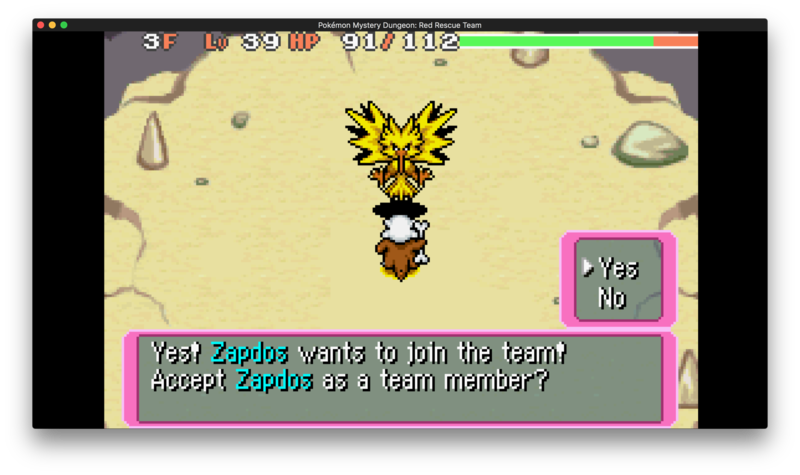 So I want to recruit a pokémon with dive capabilities first. So I'm going to go to waterfall pond first, recruit and train someone, then go after Kyogre. Team Moonlight has cleared Stormy Seas! We faced and defeated Kyorgre. One shock wave, one thunderbolt, and one shot of petal dance is all it took to take the sea god down. Team Moonlight has also unlocked four new possible missions! So while grinding, I unlocked several different new missions, including the Howling Forest mission (Smeargle's Quest), the Northern Range mission (Latios/Latias Quest), the Fiery Fields + other dungeons mission (Spinda's quest), and Silver Trench mission (Lugia's Quest). 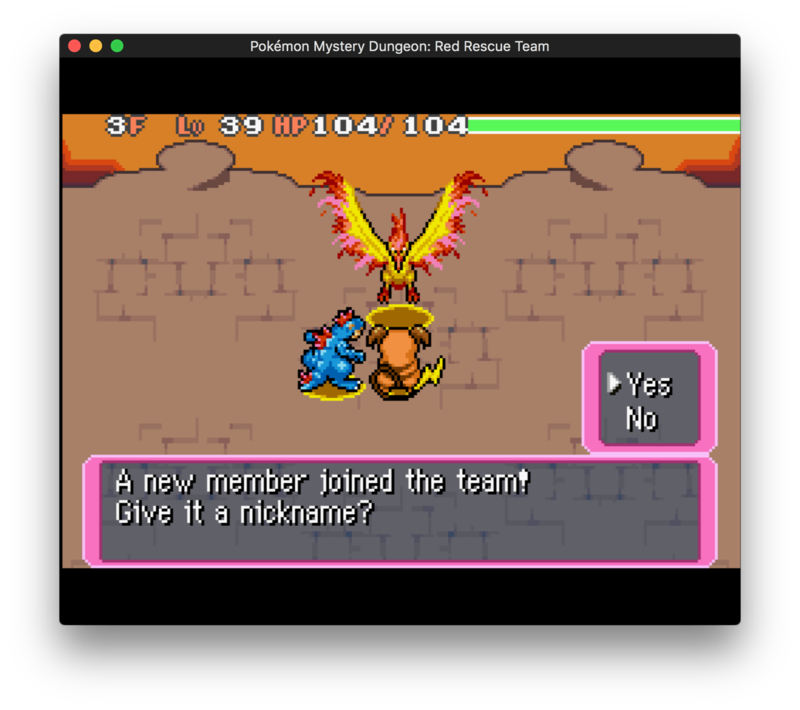 I didn't take screenshots of these except when I recruited Moltres (the first step in Lugia's Quest), but pretty much there wasn't much to see so you didn't miss much. 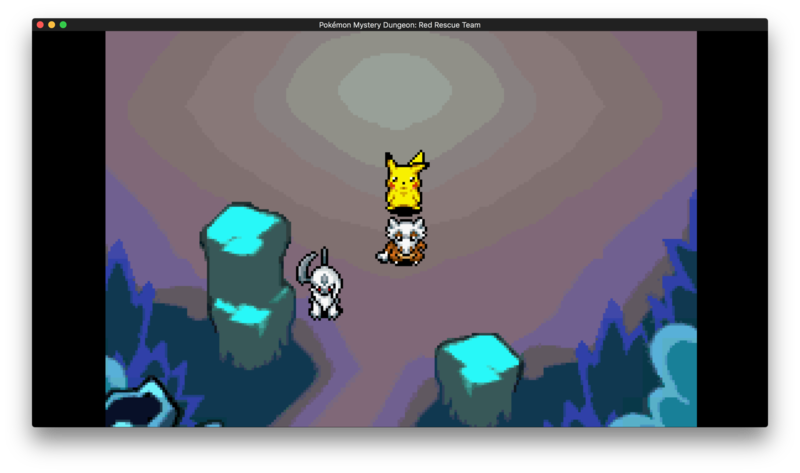 I'm probably going to complete Smeargle's mission next, then work on recruiting the legendary birds. In the mean time, you can decide on whether or not I visit Northern Range, Fiery Fields, or Silver Trench next. All right! Time's up! And since no one replied I'll probably do Northern Range next. Just gotta build up my team a little. 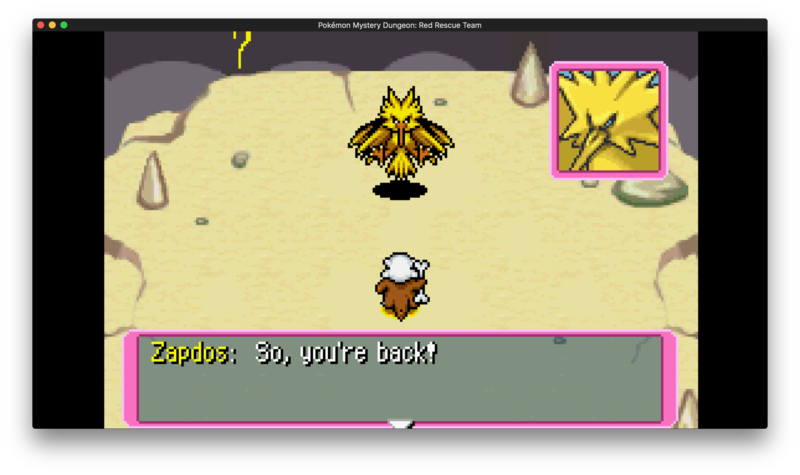 But, I have successfully completed Smeargle's Quest (forgot to take screenshots again), and recruited Zapdos and Articuno. I have to complete the Pitfall Valley quest (which I unlock after Northern Range) in order to go to Silver Trench so that's why I'll do Northern Range next.